The list of Endpoints 100 executives we surveyed is available here: What is the Endpoints 100? Biotech execs overall are in a good mood these days. Yes, the public markets aren’t nearly as wide open as they were a year ago. Not everyone finds it easy to tap venture investors for more cash on the pre-IPO side of the business. And there’s a distinct undertow of concern with clear notes of anxiety that the financing trend is tipping toward tougher times ahead. 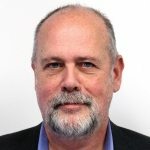 But most are still confident in their own ability to raise more money in a cash-hungry business, they’re definitely in hiring mode, largely finding excellent candidates for the work — though perhaps working harder than ever to make sure of that — and more upbeat than ever regarding regulators’ ability to judge their data; all while looking forward to what comes next. That, in a nutshell, is what we found in Endpoints News’ first quarterly confidence survey of the global biotech industry. But what I found even more interesting than the hard numbers from this survey are the thoughts they shared on dealmaking, biotech valuations, hiring and more. As a group, this executive crowd has been doing a lot of thinking about the state of affairs in biotech. And I’m happy to share many of their thoughts in the analysis of the numbers below. Altogether 105 biotech execs agreed to take our survey and 96 finished the work. (Many of you might view that as N=96.) 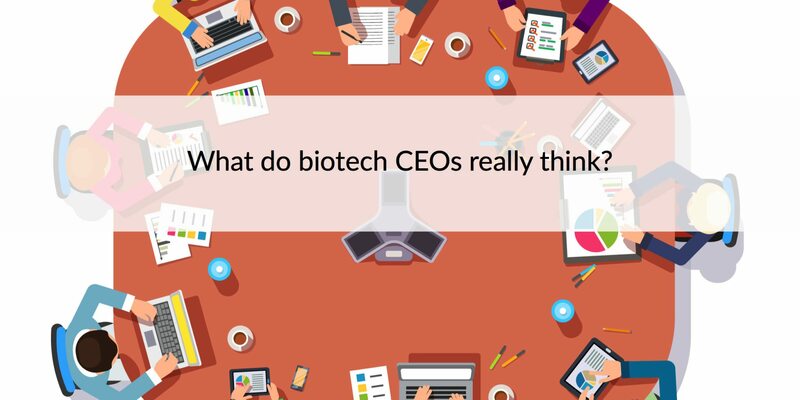 The group was largely made up of biotech CEOs, with the rest a medley of C-suite execs and VCs on a variety of biotech boards from both sides of the Atlantic. Most were based in the US, with heavy concentrations in Cambridge/Boston and California, largely in the Bay Area. About a quarter of the participants were in Europe, weighted toward London and the Golden Triangle. I specifically sought out executives in the three big hubs: Boston, San Francisco and London. But a number of other executives were scattered from coast-to-coast in the US and north to south in Europe. The results are presented in the aggregate. The individual responses are confidential, but they also had an opportunity to make comments on the record or not for attribution. And many offered some keen insights on some of the most important issues facing the industry. Has the pricing debate in the US had any impact on biotech development plans? How do biotech executives feel about their access to capital? How do they rate the public and private capital markets? How do they rate biotech asset valuations -- both licensing and M&A? Are they hiring? What are their thoughts on the talent pool available to them? How much do they outsource? Who do they support: Hillary Clinton, or Donald Trump? We produce two daily email newsletters designed to give you a complete picture of what's important in biopharma. It's free to subscribe and never any spam. Join 47,200+ biopharma executives who read Endpoints News every day.